If you are looking for a high efficiency wall mounted system, Mitsubishi offer the SRKZJX models. For instance the SRK25ZJX-S model has a very high heat output and good COP rating. 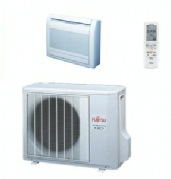 If you are looking for a low wall indoor unit heat pump Fujitsu offer a excellent range with three models available. These are most suited to residential applications such as conservatories or small offices. They offer a stylish and discrete indoor unit, with the outdoor condenser unit being able to be located up to 15 meters distance. 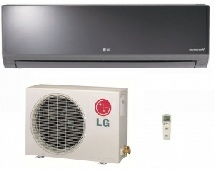 LG offer a different type of wall mounted air conditioner and heat pump compared to other manufacturers. Most indoor wall units are encased in a white plastic outer case, where as the LG Libero mirror model offers a more stylish gun metal stylish indoor unit the compliments modern décor. 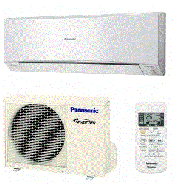 The Panasonic Etherea range are another stylish wall heat pump system that offer a number of unique features. They for instance have what is known as an ECO-Navi patrol sensor, this works out the number of human occupants in the room from the built in movement sensor and adjusts the output of the indoor unit accordingly.